I'm not a huge fan of following recipes and often make up my own using what ingredients I have. I came up with this dish after having a small amount of raw bacon left over from another meal. Any chance I get I try and make my meat stretch as far as possible! This makes one large tray and is usually enough for dinner on the night and lunch the next day for my family of 5. 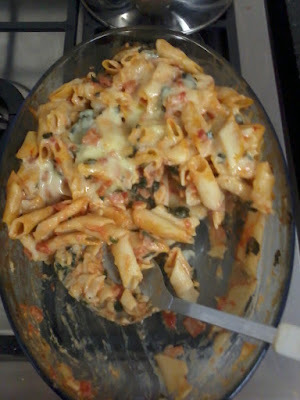 Boil the pasta in a large pot, then drain and place in a large oven proof dish- or 2! In a saucepan, drizzle a little bit of oil and fry the onion, garlic and bacon. Until the onion is soft and the bacon is browned. 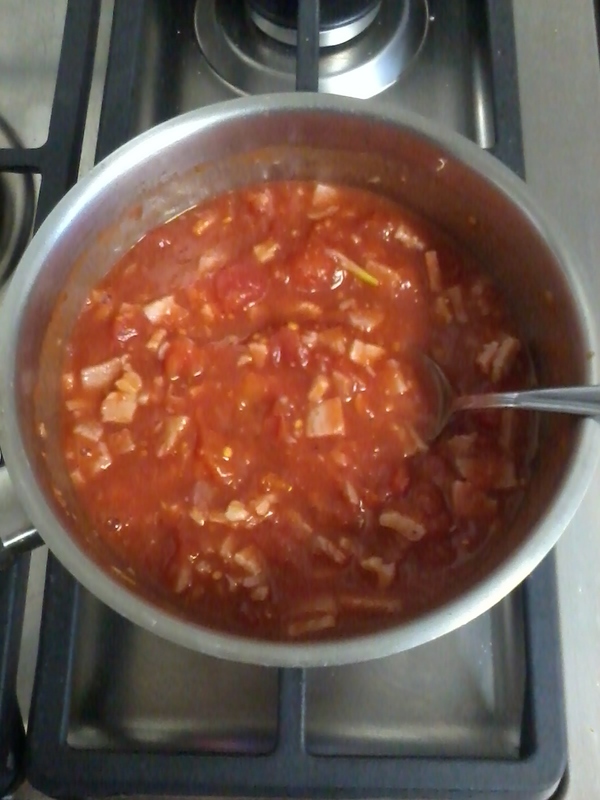 Add the tin of tomatoes (save the empty can) to the pot, stir well and bring to the boil. Then simmer. 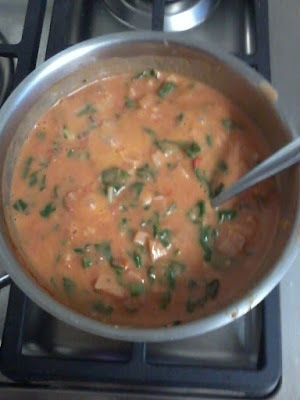 In the empty tomato can, add the milk powder, cornflour and water and stir well mixing until any lumps are gone. Then add it to the tomatoes. At this point I added some chopped silver beet because we have an abundance in our garden. 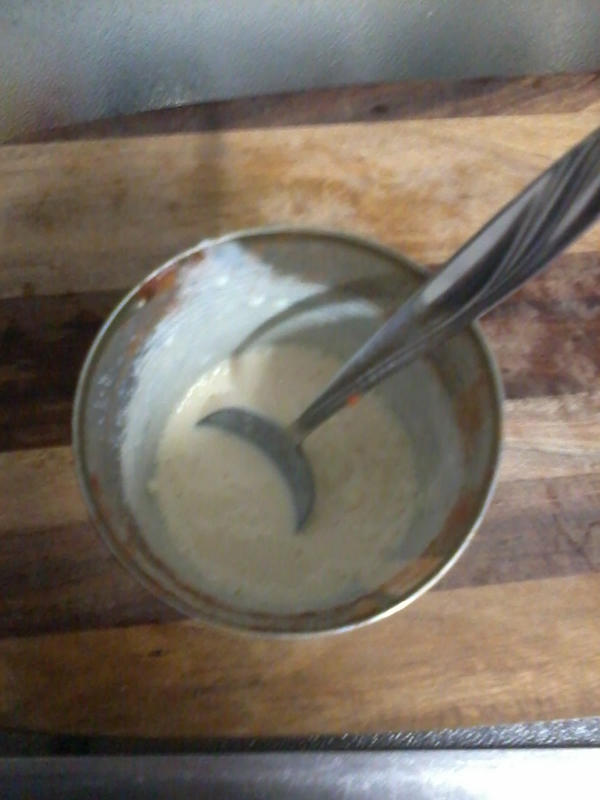 I mix the cornflour and water in the tomato can to save dishes. Season with salt and pepper and stir until the sauce becomes slightly thickened. Pour the sauce over the pasta and stir until the pasta is evenly coated. Then top with the grated cheese and bake in a 200 degree oven until the cheese is melted. 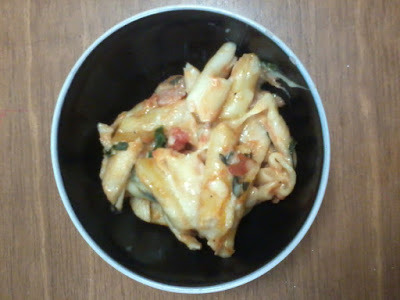 There is always about half a dish left for lunch the next day. Serve with garlic bread or salad if you like.